One weekday recently, I was driving down the Route Del Sol of San Clemente and I suddenly saw over 30 pickup trucks lined on both sides of the road. I also saw a tractor-trailer unloading giant boxes while over 100 local people watched. I immediately pulled over to check it out. 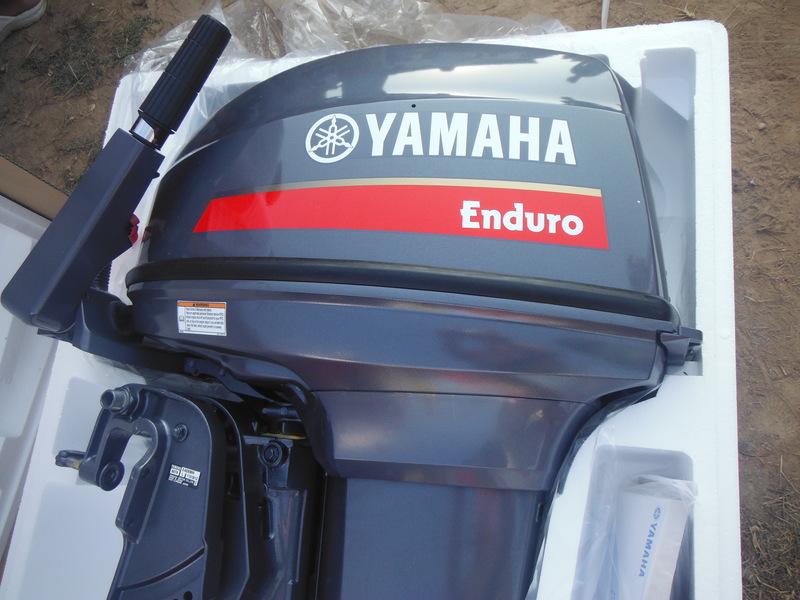 I was shocked when one family opened one of the large boxes to see a brand new, 100% Japanese made, Yamaha 40hp Enduro outboard. I know all about these outboards. 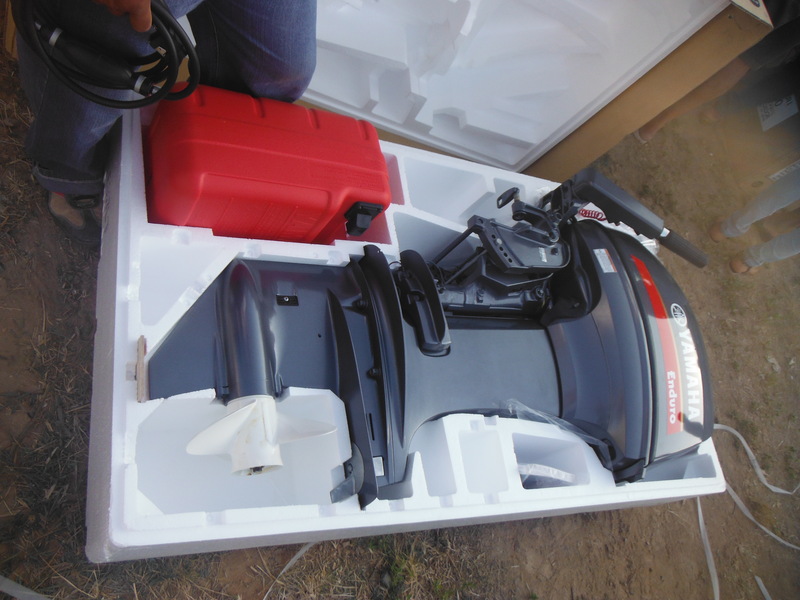 They are super heavy duty outboards made especially for third world countries for salt water fishing. They are built to last 20+ years ! They are not sold in the U.S. because they last too long ! If one ever was sold in the U.S., it would cost over $5,500..I was shocked again when a fisherman told me that 70 of these were delivered and each one was sold to a fishing family for only $1700. I learned that the Ecuadorian Government subsidizes these outboards to help the people stay employed. I didn’t see large sums of cash paying for the outboards. Instead, I saw a table where three men registered each family wanting one and the family signing for them. 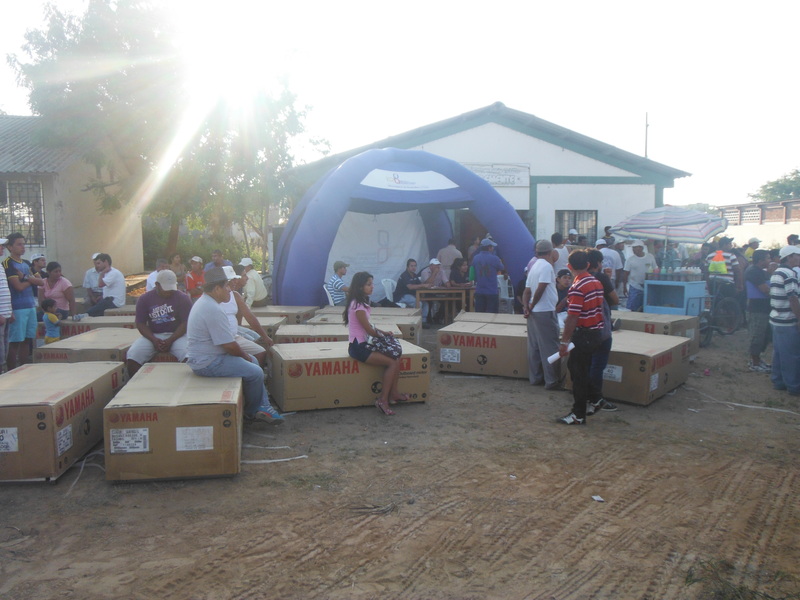 I was impressed and amazed at how happy the families were and that their government really cares about them. now, I get to watch the fisherman use them almost every day. Ecuador is an adventure ! thanks Keith and Becky for a great story and pictures. 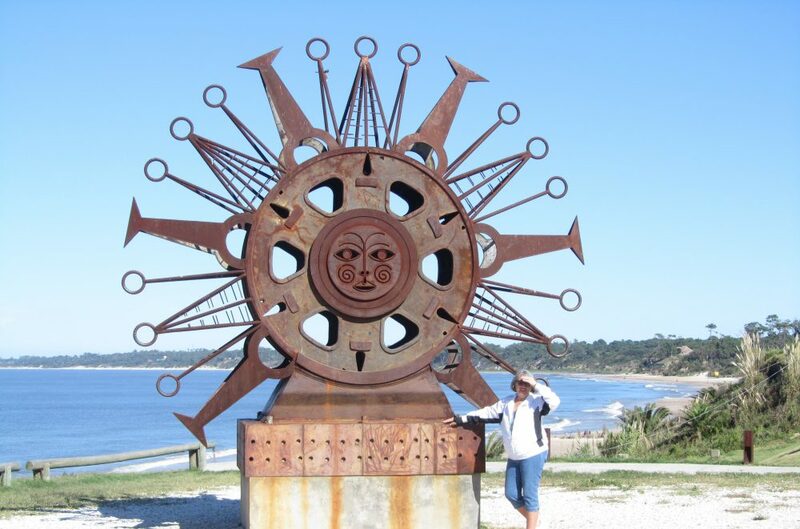 This entry was posted in Artisan Fishing, Beach, Boat Motors, Boats, Ecuador, Fishing, San Clemente and tagged Beach living, Ecuador, Expats, Fish, San Clemente, South American by Nancy Levin. Bookmark the permalink. 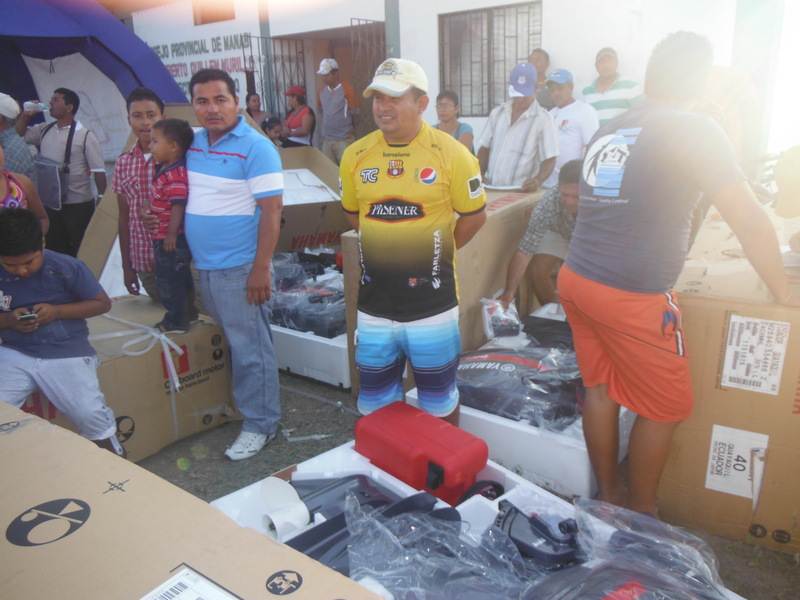 Para quienes vivimos en San Clemente o en cualquier otro lugar de la costa de Manabí o para quienes tenemos amigos o familiares que viven de la pesca, esta ayuda nos parece MARAVILLOSA. Que Dios bendiga a quienes pensaron e hicieron realidad esta cooperación. Que la gente beneficiada entienda el significado y el valor de esto y retribuya con trabajo y esfuerzo. ¡Que viva Manabí!